SERIOUSLY OVERPAYING FOR YOUR BENEFITS PLAN? SURPRISED BY YOUR RENEWAL RATES EVERY YEAR? DOING ALL YOUR BENEFIT COMMUNICATIONS BY YOURSELF? KEEPING HIGH-PRICED BUT LOW-VALUE BENEFIT OPTIONS? 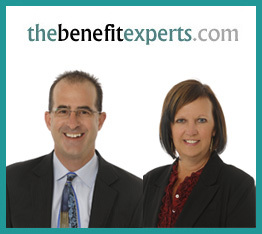 With our years of experience in the employee benefits field, you gain the advantage of our unique understanding of how employee benefits are administered and priced. Who benefits from this?…You Do!…You benefit with expertise, price and service…all done locally. Call for a confidential, comprehensive and no-obligation value analysis of your existing employee benefit plan and get the plan and support you deserve. © 2013 TheBenefitExperts.com. All rights reserved.